Could this be the solution to Lagos’ traffic hiccups? 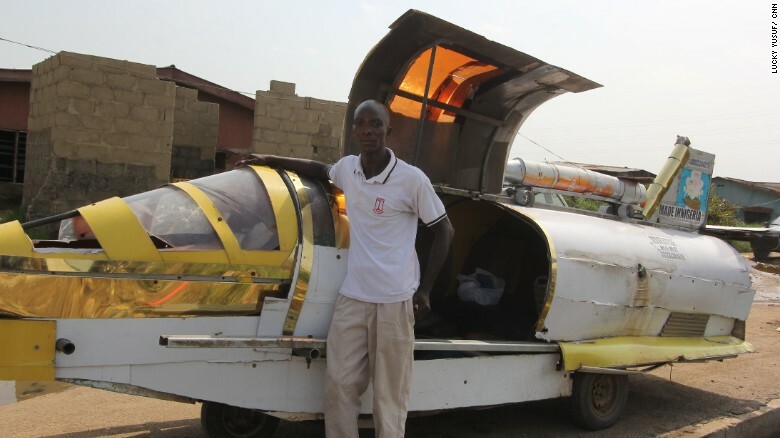 Here is a breath-taking invention by a Nigerian, named Kehinde Durojaye, popularly known as Kenny Jet. He nicknamed his ambitious invention ‘an aero-amphibious jet car’, while telling CNN that he has achieved two of his three goals. Durojaiye told he has traveled as far as Ibadan (84 miles away from Lagos) in his car and claims it can move 120 kilometers per hour on land and at least six knots on the sea. In a sea of Toyotas and Hyundais, Durojaiye’s unconventional looking car certainly turns heads. 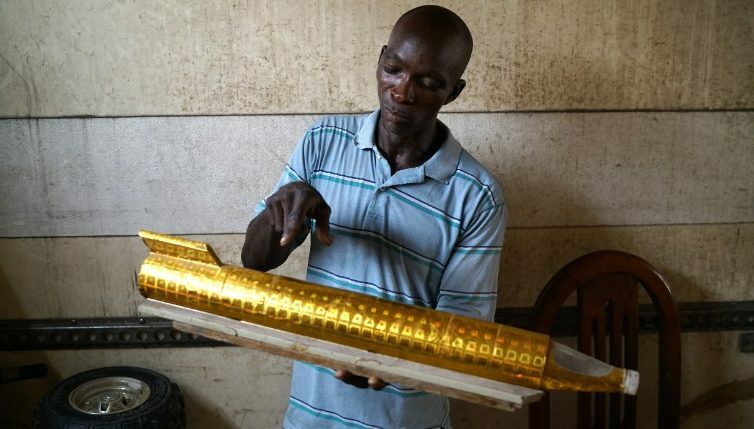 A keen inventor since childhood, the 46-year old spends a lot of time at his workshop, which sits on a dump site next to the Lagos lagoon. The married father of four has made four prototype cars, from everyday, discarded materials like wood, plastic and Styrofoam. Inside the latest version you’ll find an office chair, a keyboard and a steering wheel recycled from a keke na pep [tricycle]. He spends hours refining prototypes of the car, hoping that one day he will make it fly. What do you think of this invention?